I love hats. During the cooler months I swear by fedoras and berets to keep me warm and stylish and during the warmer months, it's all about the straw hat. From wide brim to panama, I love these lightweight toppers for shielding me from the sun and keeping me classic and cool. Currently, my small collection of hats includes lower end options from places like Asos, TopShop and Forever 21 and while there's certainly nothing wrong with them, I would love to upgrade my hat collection with one classic, beautifully made option that I can wear for years to come. 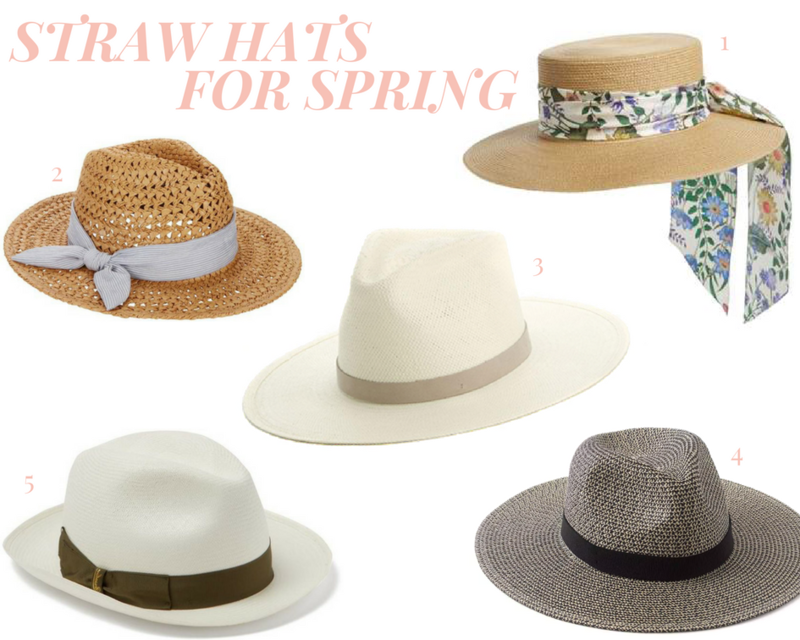 Today, I've rounded up 6 lovely hats that I've come across recently. 1 | First up is this very high-end option from Gucci. I love the simple but stylish design of this option and the mid sized brim. I don't know that I could bring myself to spend quite that much right now, so I to get the same effect I would tie a silk scarf like this one, this one or this one on a plain straw hat. 2 | Next up, is a very cute (but slightly more casual) option. I really love the open weave that allows for nice air flow during the hot spring and summer months. 3 | This third option is my favorite out of the bunch and I'm completely smitten with the pale color, classic silhouette and quality craftsmanship. I also think the price point is extremely fair for the impeccable construction and innovative packable design. 4 | Next, is a lovely black and white option that's perfect for adding a pop to a light colored spring and summer wardrobe. 5 | When it comes to classic hats, Borsalino is a visionary. This classic hat is perfect for a classic wardrobe and I love the olive green ribbon that will compliment every color in my wardrobe.